Have you ever stayed in a relationship way longer than you should have? 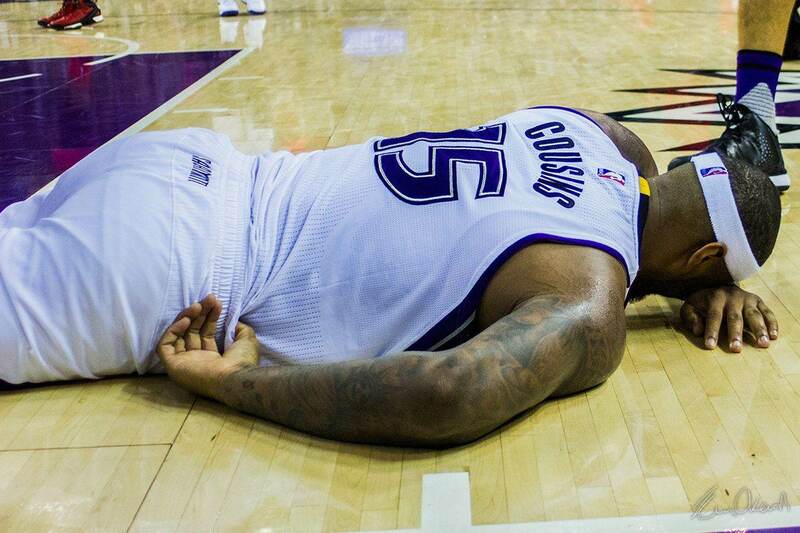 That’s probably what DeMarcus Cousins is feeling after six futile seasons with the Sacramento Kings, and a 4-7 start in 2016. We should point out Cousins, 26, is a little bit of a “hothead” on the court at times, and minority Kings owner Shaq has voiced his concerns about the former Kentucky Wildcat. However, the Kings have done their fair share to underutilize Boogie’s prime through poor drafting choices, a revolving door of head coaches, and shipping away winning pieces. Despite having DeMarcus Cousins, arguably the best center in the league, the Kings took three bigs in the first round over the last two seasons–including 7′ 1″ Georgios “George” Papagiannis this past draft. Years before that the Kings drafted Michigan shooting guard Nik Stauskus (#8 overall) a year after they already selected shooting guard Ben McLemore (#7 overall) of Kansas. In total, the Kings have five centers on the roster, indicating new head coach Dave Joerger wants to utilize big lineups like the ones he had in Memphis with Marc Gasol and Zach Randolph. It’s zigging while the rest of the league is zagging towards Golden State’s style of play, smaller and more athletic. They traded away Isaiah Thomas in 2014 after he put up 19 points/game on 47% shooting, and more recently gave Kosta Koufos, another center, a bunch of money too. Their 33 wins last season were the most since 2006-07, and the Kings haven’t made the playoffs since 05. Neither side is happy with the results, but change may now be inevitable. So let’s say Boogie is finally leaving Sacramento, getting the chance to play for a head coach that isn’t likely to be fired within two years and play for an owner who actually knows basketball. Could a team blow away Sacramento with picks and assets? More likely the Kings’ reported asking price will have to come down. I think sending Boogie to the East, where making the playoffs is conceivably easier than in the West, seems like the best bet for all parties. The Celtics are an obvious trade partner with tons of assets, Brooklyn picks and a top-5 coach in Brad Stephens. They have multiple young two-way perimeter players like Avery Bradley, Jae Crowder and third overall pick Jaylen Brown, which could match up well with the Kings who already have plenty of big men. The Nuggets are an interesting team, as they seem to have too many big men in the kitchen as well, but could package one or two of them along with Emanuel Mudiay and picks for Boogie. BTW there have been rumors flying around that the Nuggets have enough assets to reunite John Wall and Boogie back together in the Mile-High city. However, the Nuggets scenario at this moment doesn’t seem as realistic. The Wizards could also try to make the Wall-Boogie reunion happen. They have Bradly Beal, Marcin Gortat, picks and an expiring contract in Otto Porter Jr. to work with. Hopefully some more light is shed on this situation in the coming weeks, and the trade talks continue to develop.